Master Kim is a graduate from Yong-In University, a school which is very famous for its medical degrees and Taekwondo careers. 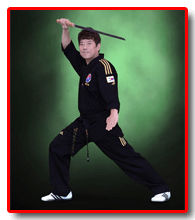 As a very talented Martial Artist Master Kim has competed in many national competitions.. He now is the headmaster of World Champion Taekwondo Gresham in which he inspires and trains students to reach their goals.